Looks almost new, but eCRATER requires listed as "USED". Multitester tested for voltage. Power supply voltage EQUIVALENT for many YAMAHA keyboards. 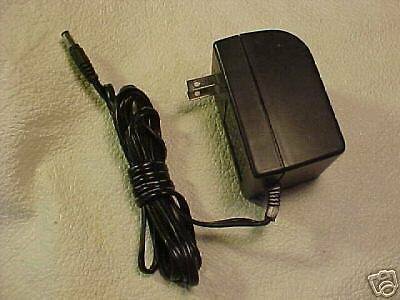 AC input 120V and DC output: 10V or 12V 700mA (aka: 12volt DC 0.7amps). Amperage can be higher, but never lower. Round barrel connecter with a hollow positive center. Please check your device for electrical requirements. Questions are encouraged. Photo is generic. Shape, size or color may differ from photo. Special heavy wrapping is needed to protect the prongs. S&H in the contiguous USA is $6. (insured shipping). Please see other interesting items by JGritUSPS DELIVERY TIME: As stated in the item listing, seller will drop-off your item to the USPS within 5 days of receiving cleared payment. How long it takes to deliver to your door is strictly within USPS control and not within the control of seller. Please leave 5 stars for seller 5 day drop-off time. Thankyou.